Minnesota State Arts Board presents Great Minnesota Artists Showcase, featuring works made by 42 artists from cities and towns across the state. Friday April 28th 6-10 pm, Sat. 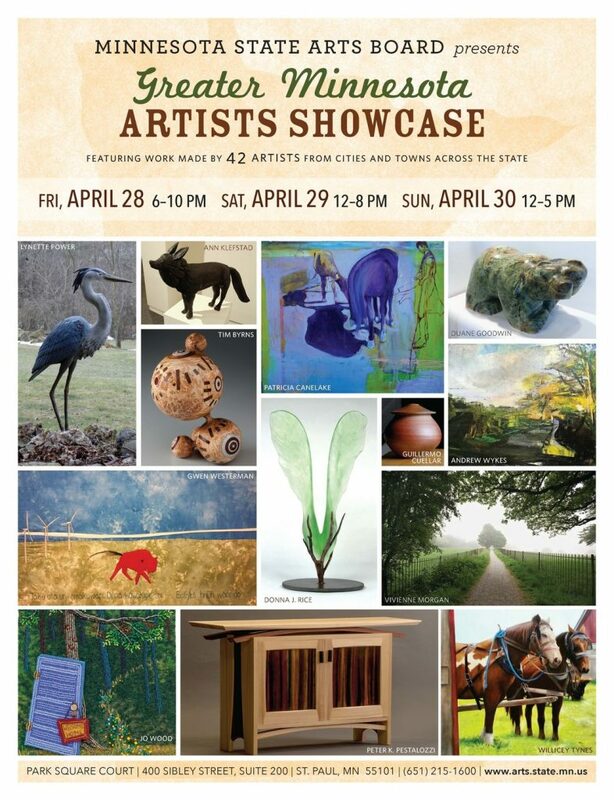 April 29 12-8 pm, Sun April 30 12-5 pm.